My background is from June 2003 and from “The Technique Junkies Newsletter”, called Smackin” Acetate. Always a quick and easy background. 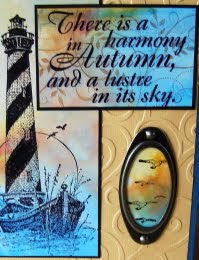 Stamps are from Impressions Obsession, Cornish Heritage Farms and Hero Arts. Hi Vada, how wonderful your projects are. I love visiting your blog - you have such great ideas and techniques. I'm becoming a BIG fan! WOW Vada! This piece of artwork ROCKS! Truly creative! Think I'll go smack me some acetate! This is just Gorgeous Vada. Hi Vada! 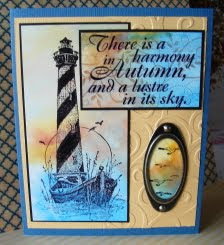 It's great to see another of your beautiful creations! Smackin' Acetate was the very first TJ technique I learned.....years ago! Your card is wonderful. This is a fantastic card, Vada! Thanks for joining us at Gingersnap Creations! This is beautiful Vada! Not sure how I missed it, but stopped by to congratulate you on the Ginger Gem honor! gorgeous Vada! congrats on being a ginger gem!